I continue to read posts, blogs and news articles either for or against social media for businesses. Critics claim the real value lies in SEO or blogging, guest posting and link building, whileproponents of social media believe businesses must embrace it to succeed. As a strong supporter of social media, I feel that businesses that do not embrace it are missing out on opportunities to attract new customers and engage with current customers. However, success in business requires engaging in all aspects of internet marketing. I recall walking into a local Harley Davidson dealership where I purchased my bike several years ago and having several employees greet me by name, ask me how things were going and ask if there was anything they could do for me. Everyone knew which club I rode with, where I worked and my past history at the dealership. A few years later the dealership had changed hands and had a new group of employees. The new employees only seemed interested in selling me something, not getting to know me. They did not seem to know that I had spent many thousands of dollars at the dealership in the past, and gave no indication that it even mattered to them. The inside and outside of the dealership had not changed except for the sign. They offered the same products, but I no longer felt welcome and part of a family. In short, I no longer shop at that dealership. In terms of Internet marketing, your website is your store. Your blog is your brochure to the world, and should be updated regularly, and social media is the platform that you use to engage your customers and makes them feel like part of the family. If you short change any part of the total package it can have an adverse impact on your business. Your store (website) must be appealing, provide solutions to the customer’s problems, be easy to navigate and convert visitors into customers. Your information brochure (blog) needs to constantly provide new information for your customers, and your social media must engage your customer in two-way communications about topics and issues that are of interest to them. Remember that engaging thousands of people who will never shop with you, doesn’t help you attain the goals of your business. 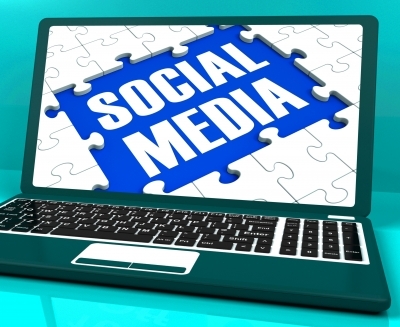 Before engaging in social media, find out which platforms your ideal customers use. Do they prefer Facebook? Twitter? Blogs? All of the above? Once attracted through social media, you can use your blog and website to convert your fans and followers into customers. with your blogging and website, and provide them the means to purchase your product or service easily. You need to be out there, using social media, checking on your company’s brand reputation and responding to customer’s complaints in a positive way, rather than ignoring them. 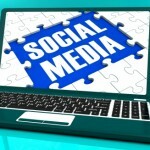 At its best, social media gives your company a “human face” rather than just a corporate image. All of this will ensure a steady supply of new prospects and customers, as well as bringing back return customers, and after all isn’t that what marketing is all about.